Planes, trains, and automobiles. This tends to be my role as I travel to our different officesin Canada. This last week it was automobiles and train. You meet some fascinating people traveling, if you are open and willing. My seat mate on my trip to our office in Toronto has been good friends with Jacques Martin. Most of you will remember him as the former head coach of The Ottawa Senators. My fellow seatmate has known Jacques over 30 years, both in helping with his hockey schools, and as a friend. Even successful coaches need to network and job hunt. Employment as a coach is fairly unstable since employment is based nearly exclusively on the team’s performance. Along the course of his journey, Jacques was fired as coach of the Montreal Canadians. Upon leaving the Canadians, he had a stint where he wasn’t working; he made a call to Jim Rutherford the GM of the Pittsburgh Penguins – but not to ask for a job. He was calling the GM to share why he thought his goalie coach, Pierre Groulx, would be a good fit for the Pittsburgh organization. It was a courtesy call, to help out a colleague and connect him with Jim. It was done with the intent to help both gentleman. They had an interesting conversation; Ray wasn’t that interested and that was that. Fast forward a week later. “Jacques – give me a shout.” The message came from Jim Rutherford. Jim and the organization didn’t have a role available, but were interested in exploring how Jacques might be able to help the team. ‘Paying it forward’ paid big dividends. It always does. You often hear about the need to network, call, hobnob, etc. but you rarely hear about this. A talented person who was also in transition, just calling his network to help out a colleague that he had tremendous respect for. We call it Job Search Pay It Forward. 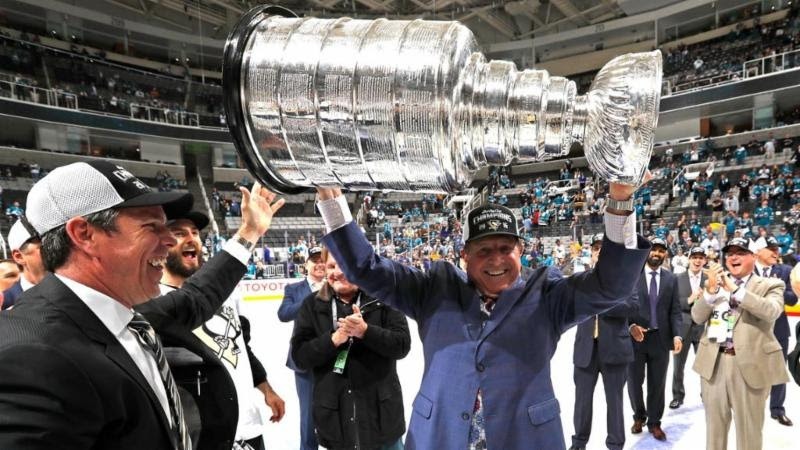 This past year, Jacques won the ultimate trophy in professional hockey, the Stanley Cup with the Pittsburgh Penguins. Who knew that one action for another person in his professional network would help him achieve the ultimate dream in his profession. But heck, that’s the way it works. Whatever your career or leadership goals, my colleagues and I can assist you or your team. Connect with us to learn how we can help you or your organization: 1-877-256-2569 ext 4. RSVP for our Outplacement Information Sessions in Ottawa – click the link below for details. CareerJoy’s award winning services help our clients find better jobs faster and with less stress – let us show you how… Click to RSVP: www.careerjoy.com/events. P.P.S. Calling all Federal Public Servants: Join us and improve your career literacy, advance your skills, and learn to navigate the Federal career landscape for greater success. RSVP > www.careerjoy.com/events.